The 2019 march was dedicated to all the women and girls who have been killed by men’s violence since our last march. The theme was ‘ Never Forgotten ’. This year (2019) will be our 12th Million Women Rise (MWR) March and Rally in Central London. We know that on these islands at least 136 women and girls have been killed in the last 12 months. From a 6 year old girl through to a 100 year old women, precious lives have been taken through male violence. We also know that across the world women and girls are being killed and harmed in every moment of every day. 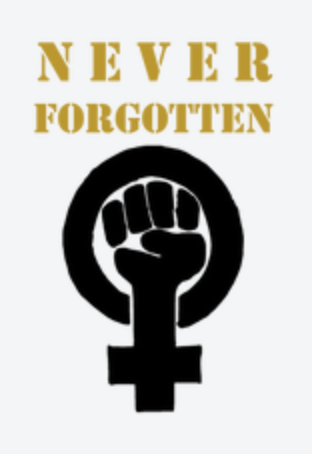 In visual commemoration this year’s march will be led by a silent bloc of women, including women from bereaved families, representing the 136 recorded lives that have been taken. We will also be commemorating the lives of girls and women that have been killed in other parts of the world. We rise...because by the time you finish reading this, statement, another woman, another girl will have been killed through male violence.